In some corners of the web, people speak of That Guy actors. These are the thespians you never think about and perhaps don’t know by name, but every time they pop up, you recognize them and go “Hey, it’s that guy!” This doesn’t necessarily mean they’re actors you love or even like, but you definitely recognize their faces. Odds are they tend to stick to supporting parts rather than being allowed to take center stage. This post is about these actors, but others too. The ones I may not know the name of, nor do I even recognize their faces when I see them on screen. And yet I have seen them plenty of times. The main tool I use to keep track of films I’ve seen is Swedish site Filmtipset. One of the features on there is the ability to get statistics on which actors I’ve seen in the most films. As I look through this list, I spot names I don’t recognize despite having seen them in ten different films or so. For some of them, even looking up a picture of them fails to ring a bell. They’re technically not That Guy, but the principle remains: actors I keep seeing but never think about. So since I keep watching these people yet never give them any attention, I’d like to take this post to celebrate the workhorse actors who rarely get enough attention. What follows is a list of these kinds of actors who I have seen a minimum of 9 movies with (number arbitrarily chosen). These are all males, but not by design. It just so happens that I’m more aware of who the actresses I’ve seen a lot of movies with are. 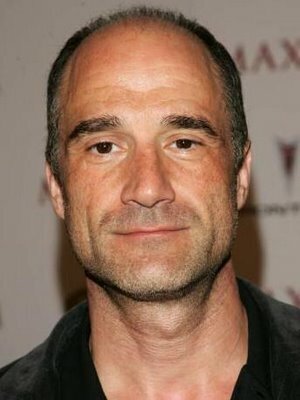 Elias Koteas – This one is actually somewhat of a borderline case. Having seen and reviewed Crash (1996) not too long ago, I definitely know and regognize the name. Koteas earns his spot here due to the high number of films (12) I’ve seen him in without ever having bothered to find out his name and file it away in the old memory bank. This Canadian actor was a staple in Atom Egoyan‘s earlier movies and now splits his time between film and television. Odds are I’ll always think of him as that creepy car crash fetishist in Crash. Or as that guy who looks like a cross between Stanley Tucci and David Paymer – the latter himself surely a That Guy to many film fans. 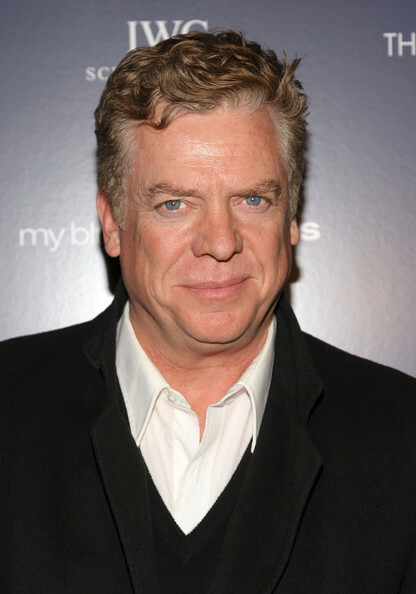 Christopher McDonald – Or Shooter McGavin to most people. Happy Gilmore might be the film he’s most closely associated with, but he has been working since the early 80s, appearing in a wide variety of movies, often as an antagonist. Like Koteas, I’ve seen this guy in 12 films without ever paying him much attention. Also one of the unfortunate individuals to have appeared in multiple post-Wedding American Pie films. 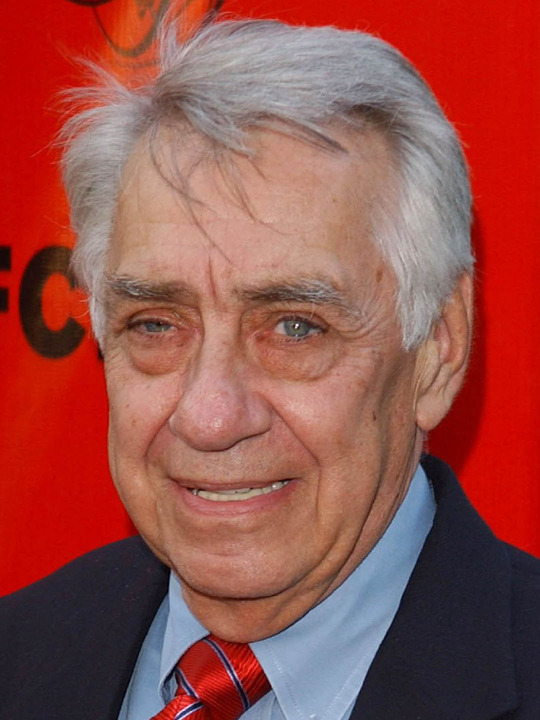 Philip Baker Hall – Hall had a late break-through of sorts playing the lead in Paul Thomas Anderson‘s Hard Eight. Since then, he has appeared in other PTA films, as well as a multitude of television roles. On the big screen, he was recently seen playing an aging cancer patient in 50/50. 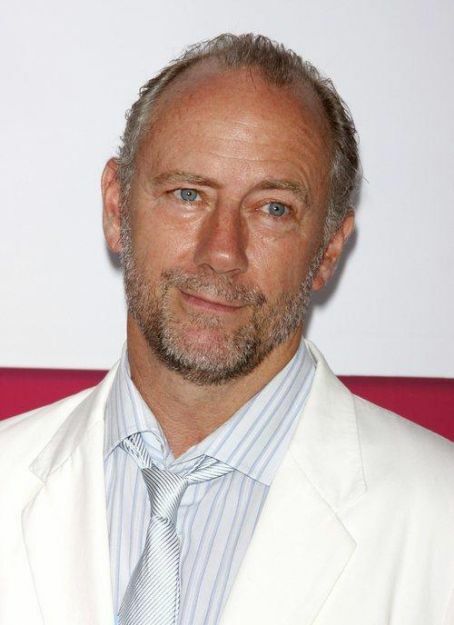 Xander Berkeley – One of the actors on this list where even upon seeing his image and filmography, I still go “Who?” But he has been in tons of stuff. Remember John Connor’s surrogate father Todd in Terminator 2: Judgment Day? That’s Berkeley. Did you catch Todd Haynes‘ 1995 allergy drama Safe? Berkeley played the husband. He was also a recurring character in the early seasons of 24, playing cop George Mason. 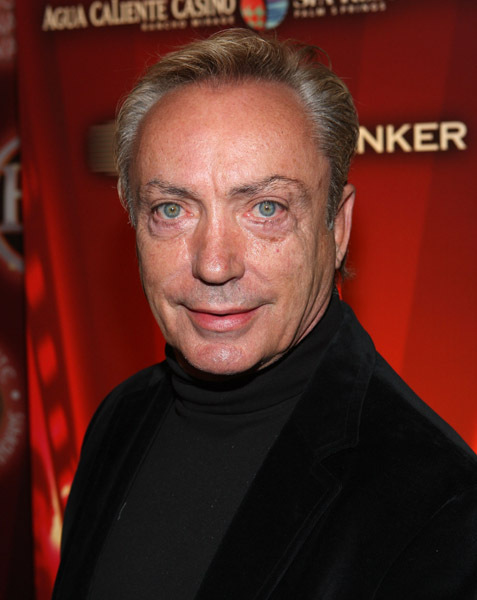 Udo Kier – A man well-regarded as a cult actor in certain circles – or so my research leads me to believe, at least. This steel-eyed German actor often appears in b-movies and exploitation flicks, and considering how rarely I traverse the muddy waters of those genres, it seems strange that I’ve managed to see 10 movies with Kier on the cast list. But then he has a lot of other films on his resume, from big Hollywood productions to frequent collaborations with his good friend Lars von Trier. 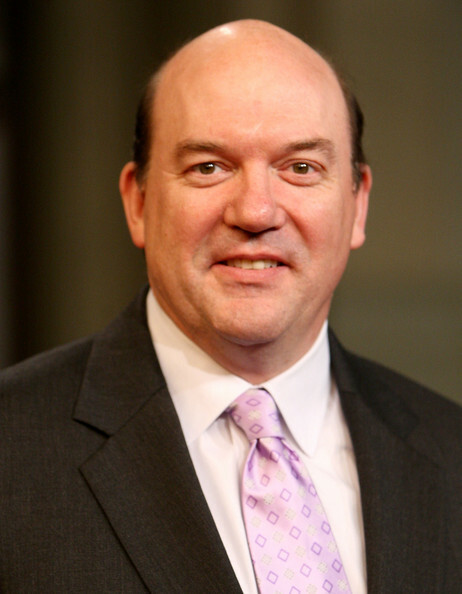 John Carroll Lynch – I just Google Image searched this guy, and upon seeing his pictures I had to double-check to make sure I hadn’t accidentally typed in David Koechner. But yeah, I recognize this guy. He was Drew Carey‘s brother on The Drew Carey Show, and he played Frances McDormand‘s husband in Fargo. His filmography is shorter than most on this list, but he has been a part of a lot of big-time movies in recent years. 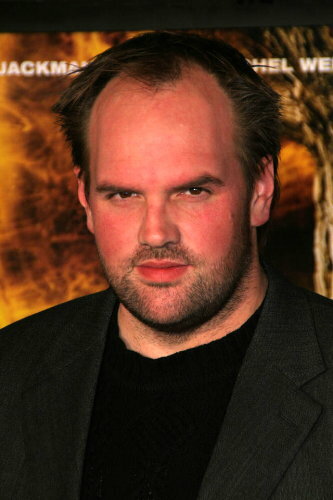 Ethan Suplee – Considering his quite distinct appearance, I find it strange that I don’t recognize this guy more. Not many lead roles to his name, but a solid range of supporting turns in both dramas and comedies. His most recognizable character to me is ironically the one where he looks the least like himself: Ashton Kutcher‘s spiky-haired roommate Thumper in The Butterfly Effect. 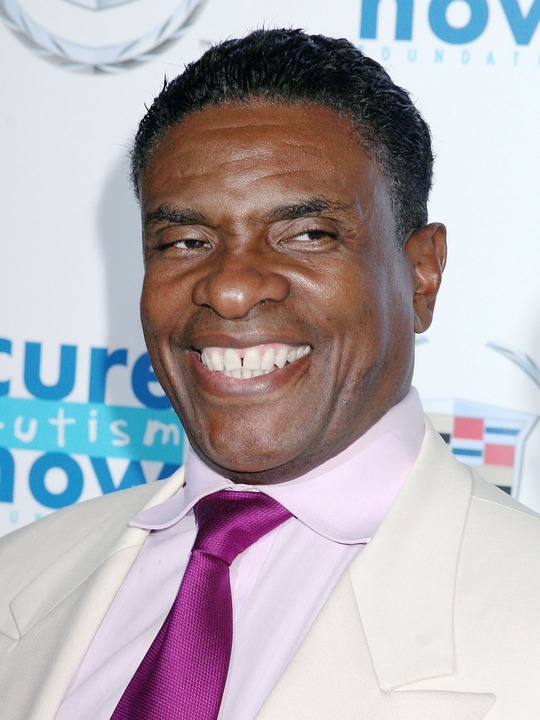 Keith David – Perhaps less of a That Guy than a That Voice for some. David has provided voice acting to a number of video games and animated films and shows, as well as narration duty for plenty of documentaries. But even if I limit myself to his live acton work, I’ve still seen 9 films with this guy. He has taken part in plenty of action films, for instance. His most memorable character might well be that of Armitage in They Live. Remember that epic fight scene with Roddy Piper over the sunglasses? If you don’t, you haven’t seen the film. 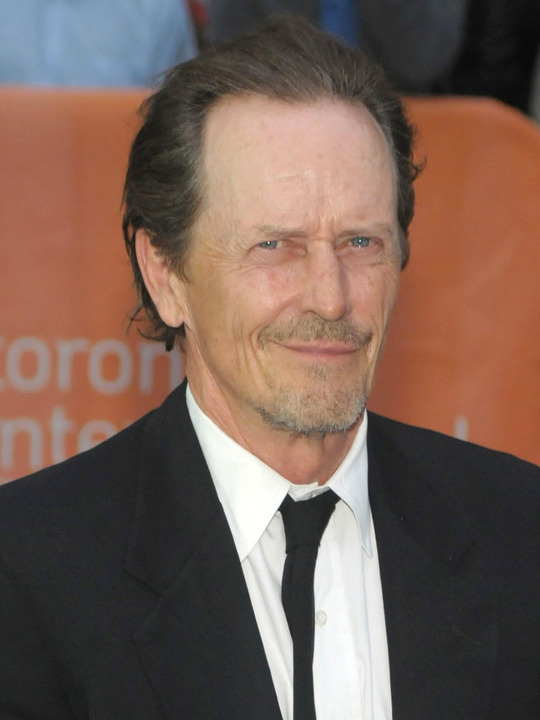 Stephen McHattie – Definitely a That Guy. With a face that lends itself well to playing bad guys and/or authority figures, Canadian McHattie has had lots of parts in television. His big screen work is a bit more scarce, but he had a rare lead role a few years ago as a gravelly-voiced radio announcer in quirky viral outbreak film Pontypool. 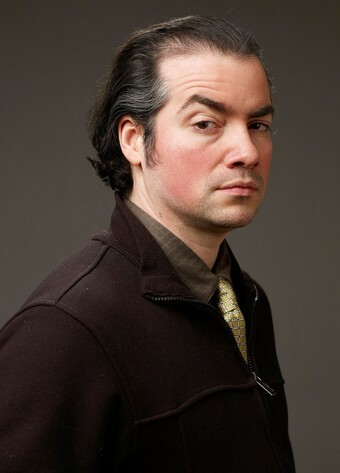 Kevin Corrigan – Corrigan spent most of the 90s appearing in small indie films like Living in Oblivion, but recently he has started to pop up more frequently in major studio films. Not the most recognizable face on this list, but at “only” 42 years of age, he still has plenty of time to establish himself as a bonafide That Guy actor. 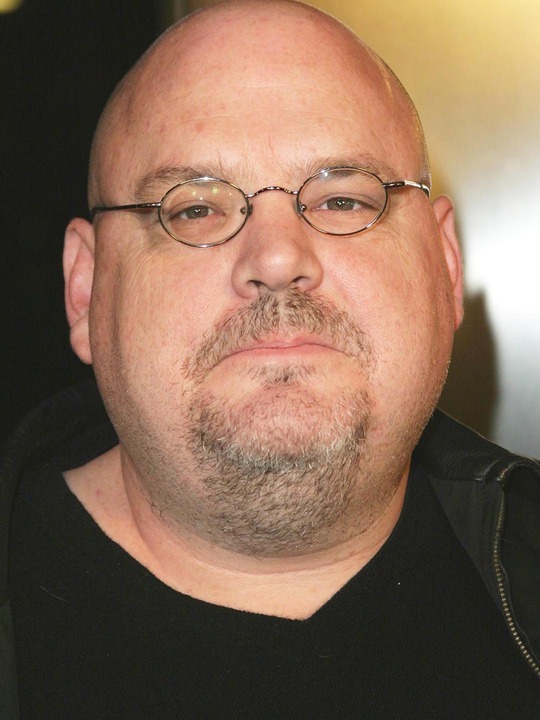 Pruitt Taylor Vince – A go-to guy when you need a hefty bald man for a part. Able to adapt easily to both friendly supporting characters and nasty villains, Vince has had a couple of notable roles in his career. He even snagged a lead part in 1995 independent film Heavy, playing a chubby cook who tries to woo Liv Tyler. Side-note: If Marvel ever decide to make another film with their Kingpin character, this is they guy they’ll want for the job – no offense to Michael Clark Duncan. 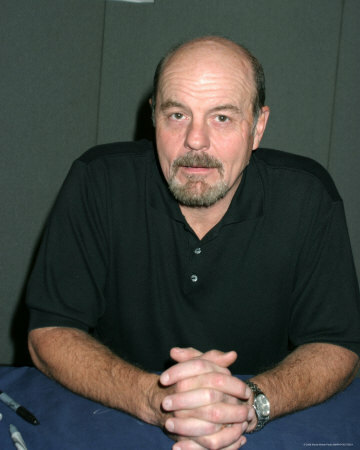 Michael Ironside – A fairly well-known name in sci-fi crowds, as that’s the genre he had the most enduring success in. I’m not that well-versed in science fiction personally, however, which is why he makes this list of mine. But even if you’re like me, you’re still likely to know Ironside as Jester in Top Gun. Do you recognize any of these actors? Any of them you’re a particularly big fan of? And who is your favorite That Guy actor not on this list? I love this post. I’m a big fan of “character actors,” including (not mentioned here) Stephen Tobolowsky, Charles Durning, and M. Emmett Walsh. These guys (and the ones you listed) are especially good at disappearing into their roles. I always, always, always get Keith David and David Keith confused. I see either of those names on the opening credits, and I can never remember which actor I’m about to see. Pruitt Taylor Vince is awesome. I love him tremendously. I’ve singled him out many times in my best-of lists. He shines in HEAVY and NOBODY’S FOOL, among many others. Just saw in recently in THE WALKING DEAD. Glad he’s still working after all these years. Elias Koteas always gets me confused with Christopher Meloni (SVU). These guys could play brothers! And actresses I get confused with? Bryce Dallas Howard and Jessica Chastain. Though that won’t be long — Chastain’s star is rising very quickly. I had the same problem with Naomi Watts for a while. I was never able to recognize her until recently. Had to look up both Durning and Walsh (“oh, hey, it’s those guys!”). Tobolowsky is one I’m a big fan of consciously, though. Been into him ever since I first saw Groundhog Day. Bing! Spot-on about Meloni and Koteas. Those two must have been separated at birth, no doubt. Glad you liked the post, Dave! Thank you for the kind words! Thank you! There were a number of other actors I’ve seen tons of films with that might not be all that well-known to most people. Still, the qualifying factor for this post was that it had to be guys I myself didn’t really recognize. So actors like, say, David Paymer didn’t make the cut. To most people, he may be That Guy, but to me, he’s David Paymer. And why anyone would put Gary Oldman on a list of That Guy actors is beyond me. Elias Koteas is a guy I do like alot, he’s done quite a few very good roles. I liked him in both “The Haunting in Conneticut” and “The 4th Kind” I think he’s got a habit of getting priest roles. Pruitt Taylor Vince aka The fat guy with the creepy eyes, been in several tv-shows, X-files for example. Seems to get parts where he needs to have a severe mental illness. The others I often pop up on screen also but they are not so memorable to me. I’ve been meaning to check out Riket for a long time. Sounds really creepy, though I didn’t know Udo Kier was in it. His eyes are terrifying for sure. I liked Koteas in Defendor as well, even if kept thinking it was Mark Strong afterwards for some reason. Koteas is definitely underappreciated! I recognize most of those actors, both their names and faces. However, two of them I’ve never heard of. Neither does their picture tell me anything. Ethan Suplee and Kevin Corrigan are the ones. I guess they must be in TV-series and C-movies ;) Or I just haven’t thought they’ve been good/interesting enough in the movies I’ve seen them in. According to Filmtipset, I’ve seen both Suplee and Corrigan in 7 movies. So yes, I’ve “seen” them around. The rest of them (with the exception of Udo Kier) are good supporting actors that pop up every now and then and I enjoy watching them do their thing. I’m sure I have many actors like this in the back of my head, but since I know most of their names and things like that, I can’t consider them in this category. Jessica Chastain must have been the shooting star of 2011 having been in pretty much every Hollywood movie out there ;) I actually had three of her performances among my top five supporting roles by a female for 2011, not bad. Well, that was the point of this topic: to bring forward these actors we apparently see in a lot of films without noticing them. As I said in the post, I don’t necessarily think they’re great actors or anything – although some I definitely like, such as Koteas, Hall, and David – but they’re all very prolific. Chastain certainly had one hell of a break-out year in 2011. I’ve only seen her in The Help so far myself, but she’s already way beyond That Guy status in my mind. Awards season can do this to some actors, especially ones who have had long careers without being recognized or having many lead roles. I think people at large might have considered actors like Richard Jenkins and John Hawkes That Guy actors in the past. Watts has just never stuck in my mind, really. Yeah, she has been in many films and is often very good, but there’s nothing about her that really makes her stand out in my mind. YES! Love seeing character actors highlighted. Shameless ploy: did my ‘In Character’ posts help inspire this post? Fair enough buddy! I LOVE all the actors you highlighted here. Pruitt Taylor Vince is one of my favourites. You really should check him out in the Paul Newman movie, Nobody’s Fool. He’s also a bit-part in another great film, Beautiful Girls. I’m quite a fan. I don’t know why, but I was expecting to see Richard Jenkins here. Thank you for the tip on Nobody’s Fool, Colin. That one’s going on my rental queue. Already seen Beautiful Girls, though. I really dug that movie. The scenes with Timothy Hutton and Natalie Portman in particular were teriffic. I suspect Richard Jenkins is a That Guy actor to a lot of people, but I’m too aware of him. Really good actor who I’m always thrilled to see in opening credits for a film. Plus, he was up for an Oscar a few years ago, which sort of solidified his name and face in my brain. Fun post and there are some I recognise, but didn’t know the names of. There are tons of actors you regularly recognise, but really have no idea what their name is or in what other movies you saw them. Thing is though that they are very good, but never seem to have had leading roles. Yeah, leading roles is not something every actor gets a crack at. As a result, these actors get left in the dark a bit, with few people remembering their names most of the time. Which is unfortunate.